Meredith and Kaytee are joined by a special guest co-host this week, Mindy Brouse, a Currently Reading listener and super-fan of the show. This one was fun, you guys! You’ll hear a “bookish moment of the week” from each of us: a funny bookish conversation, a sweet picture book that made me feel ~seen~, and a spoiler-ific discussion of a previous book. Next, we discuss our current reads. Since there are three of us, we kept it to two titles each, but there’s no shortage of great stories and big opinions. 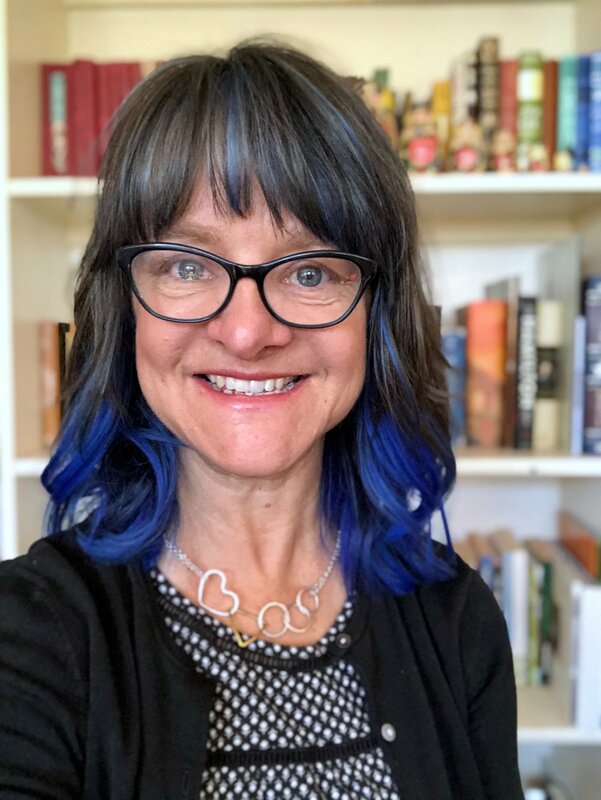 For our deep dive, we’re talking to Mindy about reading aloud to kids of multiple ages, since she has been homeschooling for 20 years and has 7 kids with a large span. Our listeners asked for something exactly like this, and Mindy delivers! We also get to hear from her about something we’ve heard from a lot of you: how Currently Reading changed her reading life. It’s a sweet conversation. As always, we finish up with A Book (yep, capitalized) that we’d like to press into every reader’s hands. This week’s picks include a favorite read-aloud title, a YA sci-fi (Y-fi?) series, and a fairy tale retelling that has been a favorite for DECADES. As per usual, time-stamped show notes are below with references to every book and resource we mentioned in this episode. If you’d like to listen first and not spoil the surprise, don’t scroll down! Mindy and her family in front of The Juan de Pareja painting at the Met. Deep dive. 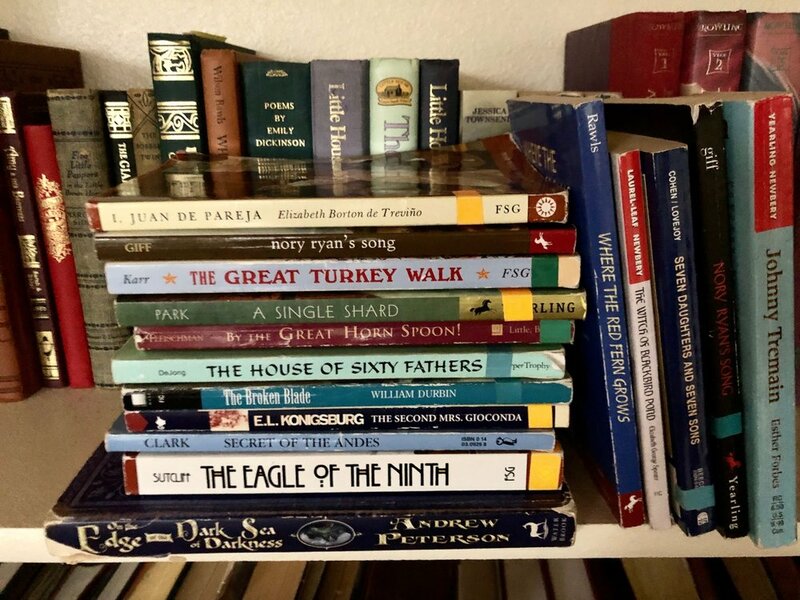 Here’s the photo and corresponding list of books that Mindy’s family has chosen as their very favorites over the past two decades. Episode 31: Book Talk with Special Guest Co-Host Laura Tremaine!